Sometimes when we come to the end of the road we realize that the fence is broken, a relationship is finished. Sometimes we know that the fence can't be mended, but other times we might be able to salvage that old fence or at the very least let it go without recriminations or holding grudges. There are times when relationships are too toxic to maintain. When that happens you need to either distance yourself or cut ties with the person. That can be especially difficult if the other person is a family member, but you have to always remember that your health and well being is of the utmost importance. So what do you need to do when you need or want to repair a broken relationship? 1) The first step is restoring trust. Without trust a relationship cannot be restored. 2) Communication is essential in mending a broken relationship. Each person has their own perspective when a rift has developed and it is important for the two parties to be able to discuss what is going on. 3) Forgiveness is the next step that needs to happen. You may never be able to completely understand the other person's rationale, but in order to move forward you need to be able to forgive them. 4) Once you have established trust, and communication and forgiveness have begun, it is important to nurture the relationship. Keep the lines of communication open and make sure to put the relationship before your differences. 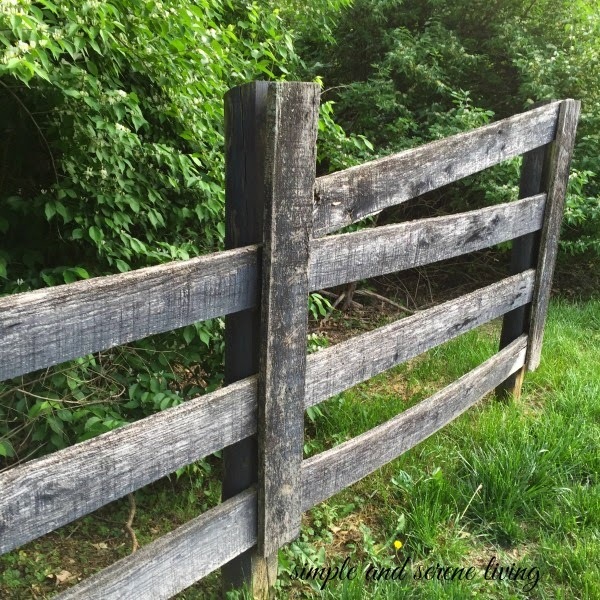 Mending fences can be difficult but if you want the relationship to continue it can with some work on the part of both parties. What have you done to mend fences in your own life? P.S. Find more of the Women Speak series here. Well, I've got a question for you. Actually two questions. First, what on earth are those odd numbers at the top left of your page? Second, I would like to mend fences with at least two people I was very close to. Problem is, they tend to lie and I know they're lying. So my question is: how do you deal with someone you want to have a relationship with, but can't handle the dishonesty? Does that mean it's toxic and you move on and let them go? I have no idea what those numbers are, where they came from, or how to get rid of them. Weird things tend to happen to me. I know that I have a very difficult time with dishonesty. It is one thing that is probably a deal breaker for me in a relationship, but each person has to decide how important a relationship is to them and whether or not it is worth putting up with. If you find the dishonesty to be too toxic for you and it affects your well being then it may be time for you to let the relationship go. It is of course something only you can decide. Sometimes when you remove yourself from a situation for a while you can revisit the relationship to see if you want to continue with it later. You are exactly right, Diane. You can't force a relationship to be what you want it to be, so you often do have to just step back. Nothing is ever really fixed by keeping silent. Eventually you will begin to feel resentment if you don't communicate. Communication and forgiveness... lots of it. Using these tools daily keeps the fence from ever being broken. Hopefully, Carolyn but there are relationships that are toxic and unfortunately no matter how much one tries they are not salvageable. they say, forgiveness is for yourself. So easy to nurture a grievance. I have one between confused issue that is sort of sorted ish. Forgiveness is for yourself. You are the person that gets hurt when you nurture a grievance. Mending fences is hard work when you've been hurt. But it's healing. In my case a tentative relationship, oh so fragile, has begun to grow from the ravages of destruction. It will take much time and grace. I like the Abraham Lincoln quote, "The best way to defeat your enemy is to make him your friend." Of course some people are not deserving of the status of "friend." Every case is so individual! That is a great quote, and yes, every case is individual. It is wonderful if the relationship can be mended, but it isn't always the case. You definitely have to decide what is best for you. I always have to clear my heart of any conflict and will always mend fences regardless. Luckily, I don't have any fences to mend except a few in some of the pastures. Happy Weekend and Mothers Day to you! Glad your broken fences are only in your pasture, Laura. Happy Mother's Day. Such a wonderful, true and important post Laura....I have worked hard to mend some relationships worth saving....and you have hit on so many important points. This post is just now showing up in my Bloglovin feed, I knew I was missing blog posts...anyway, great words of wisdom. I've lost friends before and have sometimes been able to re-establish relationships with them, but it's hard. My best best friend for many years has cut me off and wants nothing to do with me now. It saddens me so much but I know I have to let it go. She can be so toxic and hurtful and at this point has pushed me away and I have to accept it.